A young black man calling himself Victor has struck a bargain with federal law enforcement, working as a bounty hunter for the US Marshall Service in exchange for his freedom. He's got plenty of work. In this version of America, slavery continues in four states called "the Hard Four." On the trail of a runaway known as Jackdaw, Victor arrives in Indianapolis knowing that something isn't right—with the case file, with his work, and with the country itself. 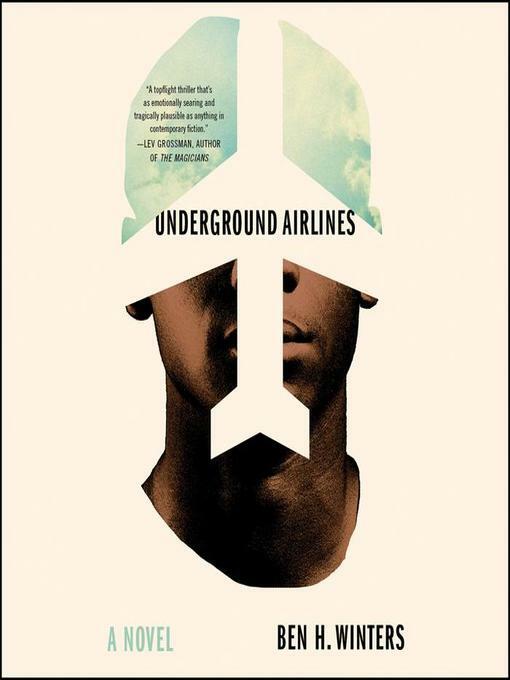 As he works to infiltrate the local cell of a abolitionist movement called the Underground Airlines, tracking Jackdaw through the back rooms of churches, empty parking garages, hotels, and medical offices, Victor believes he's hot on the trail. But his strange, increasingly uncanny pursuit is complicated by a boss who won't reveal the extraordinary stakes of Jackdaw's case, as well as by a heartbreaking young woman and her child—who may be Victor's salvation.